While working on a project its important to decipher whether it's a new or current renovation of a system already in place. If there is already copper in place, it may make the most sense to just update the copper components. But, depending on the length of the cable being run and the users, it could be more beneficial and cost effective to install fiber optic cable instead. Check out this blog post comparing the advantages of fiber optic cable over traditional copper. 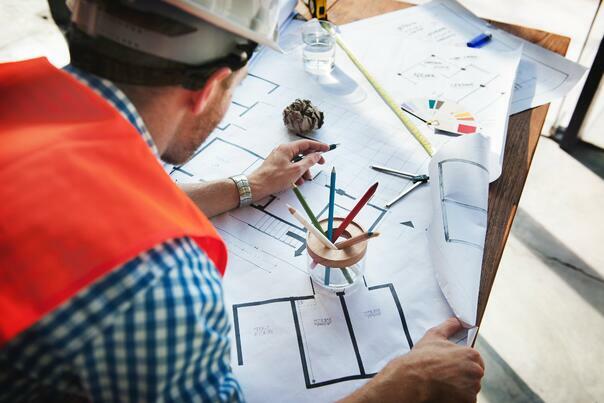 Although it's important to abide by building code regulations, like the National Electric Code (NEC), its also important to evaluate the space in the which the project is taking place and the people that will be using it. If they'll be using it long-term and updating often, fiber optics might be the proper investment to use. Who will the users be? What will they be doing? Many large structures like university campuses, hotels and casinos are beginning to use fiber optic cables to support their number of employees and guests, number of devices and the amount of data that is being transferred across the facilities network. With the growing rate of data, cloud services, videos, remote staff, videoconferencing, copper cable systems can only handle so much so quickly. Large facilities are now seeing the growing need for fiber optics to handle the data being transferred. Have you conducted a building survey? What will the fiber be used for? Will it all be inside or does it need to run between buildings? Is there a lot of foot traffic and potential users? Do any areas need special attention? How many connections are needed? Because fiber can eliminate cross-talk and run greater distances than copper cable, answering these questions when working on a project can allow you to decide if copper or fiber will be needed. What is Needed for the Future? The fiber optic cable bandwidth will always be superior to copper cable systems. No matter how many new devices, data, etc, fiber will always be able to hold the proper connection. Understanding the space will be used in the future can show you what type of cable is needed.